Danilo was born on January 21, 1991 and grew up in the town of El Valle de Anton. He spent his childhood surrounded by nature, as his father, Danilo, was guiding at the Canopy Adventure. Between the ages of 10 and 15, Danilo guided keen visitors at the Canopy Adventure for enjoyment and experience. After graduating high school in El Valle, he carried on to study tourism at UDELAS (Universidad Especializada de las Americas) in Panama City, and obtained his degree in Tourism Management in 2014. While attending university, Danilo began to work at the Canopy Bed & Breakfast in Gamboa in 2011. 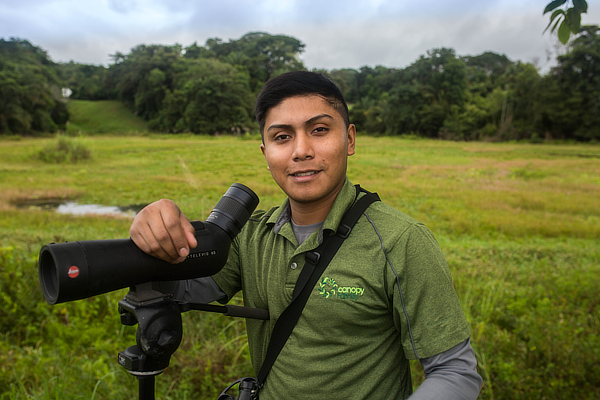 As Danilo has always been interested in birds and wildlife, he followed in his father’s footsteps and in 2014, he began to guide at the Canopy Tower and Canopy Lodge and Canopy Camp Darien. 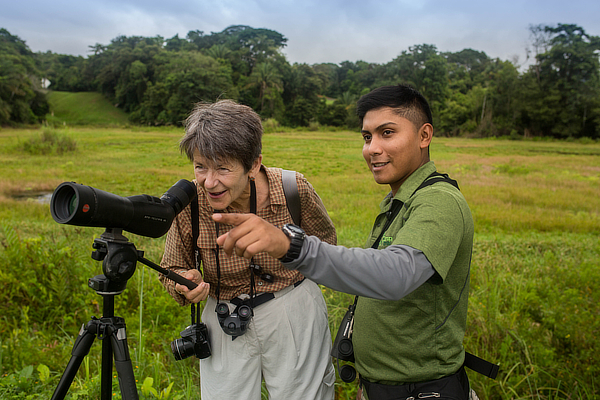 Danilo is a valuable member of our guiding team, and we are proud to have two generations of guides now at the Canopy Family!